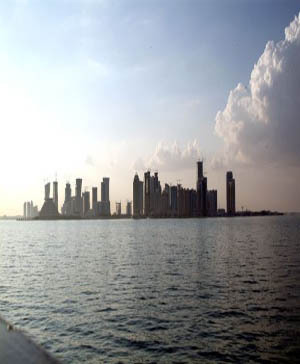 A committee to stimulate investment in the Qatar tourism sector has been established. The Qatar Hotels Committee, which held its inaugural meeting last month in Doha, aims to develop the tourism and hospitality industries in the country ahead of the World Cup in 2022. Chaired by Qatar Tourism Authority (QTA) chairman Ahmed Al Nuaimi, the committee includes general managers and representatives of the country’s four and five star hotels along with senior representatives from the QTA. The Committee will also offer professional guidance to the QTA about important issues affecting the country’s hotel sector. Speaking at the meeting, Al Nuaimi said the committee was the result of two years of efforts to bring all the parties together. "There is an urgent need for this cooperation in light of the current rapid development of tourism in the country," he said. "This requires the hotel sector to move from their traditional role of receiving guests, to one that sees them more effectively and actively contribute to the evolution and development of the tourism sector." He added that the Committee will also share the marketing and promotion of Qatar’s tourism offerings, including incentives to attract visitors to Qatar.